Amazon Prime Day is Coming! | La Petite Noob | A Toronto-Based Fashion and Lifestyle Blog. Is it just me, or is shopping in the summer more fun? Maybe it's the sunshine that just puts me in the best mood, but I find myself shopping more in the warm weather. For my fellow summer shopaholics, I have some good news - Amazon.ca is celebrating Prime Day on July 10th! If you're not familiar with Amazon Prime Day, it's basically a shopping holiday where Amazon lists hundreds of thousands of deals exclusively for Prime Members. This is new for Amazon.ca this year and to celebrate, the Prime Day deals will go live Monday, July 10th at 9:00PM and will last through to July 11th giving you more than 24 hours to shop! Not to worry if you're not already an Amazon Prime Member. Head over to Amazon.ca to sign up for a 30-day free trial so that you can participate in the savings too! As a condo-dweller in downtown Toronto, I especially appreciate my Amazon Prime membership to not only stock up on my favourite shopping items, but also the necessities too - nothing like getting your household goods delivered straight to your door. If you've always been curious about an Amazon Prime membership, this is definitely the time to try it out. 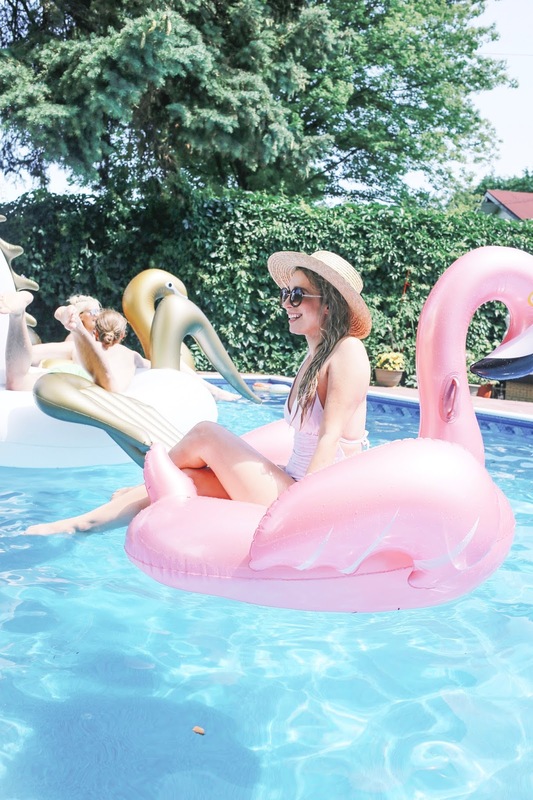 In the meantime, I've linked some of my favourite pool floats for the summer - because being in a pool, ocean or lake just isn't the same without a fun floatie! Stay tuned to La Petite Noob July 11th, where I'll be sharing some of my favourite sales and deals from Amazon Prime Day.